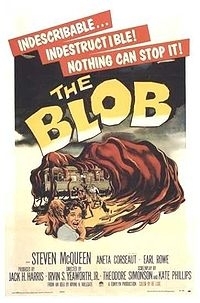 Whether its the Blob or Blog, you get the idea, right? Ok you've got something to say and we've given you the place to say it!! You know what to do. We'd love to hear from you. If you have some BHS memorabilia, make sure one of us knows about it if you care to submit somethings for the Reunion! What a fabulous website ...such an excellent job here!!! Nancy you have not registered? Niether has Jackie Gramatas? What are ya'll waiting for? Me? Well, I'm plannig on it. 1. The fire alarm went off during finals and you didn't even flinch! 4. You still have a copy of Catcher in the Rye from the BHS library. 10. The lack of air conditioning wasn't really that big of a deal... until now!! Oh my ..my ..my .these are just breathtaking. She is eneyrthivg you say she is .Beautiful!! The photography is beyond eneyrthivg. Thanks for sharing ..I didn't breath while looking at them .just BREATHTAKING! You were a true Baron if you had the tow truck come and tow Harry's car in the parking lot! Steve-thank you, thank you, thank you for staying in touch and putting so much of the evening together. It was a shame it had to end. I hope to keep up with the folks I reconnected with last night. Chip and I had a marvelous time, and, it was so special to talk to so many of the class. So many special people that I have remembered so fondly for so many years and they have all done so well-even the guys who didn't like English so much. I may contact you for emails if I can't find some of these folks on the website or facebook! Your wife is adorable. Good job. Give her my best and thanks a million, again. Thanks for these articles - sure brings back good memories. Jean and I appreciate being invited to share with the Class of 1970 your 40th reunion last night. It was lots of fun sharing all those good memories. Great place, great food, great folks. Thank you for inviting us. We had a great time. It is a lot of fun to see how past students turn out as adults. Briarcliff was a special place in a special time. We were all bless for being there. Message: it sounds like i missed a wonderful weekend & all the hard work that was put into the 3 day fest was more than worth it. thank you guys for 'holding' us all together. i won't miss the next one!